Sally has given my horse healing to help him overcome some unresolved stress when I first bought him , and more recently, to help him with an injury that he sustained in the field, and a cyst on his thyroid gland. She is very professional about her work and always able to answer questions about healing and its effect on Bebo. Sally’s healing works really well to support the work of the physio and the vet, as it always seems like Bebo needs to release the emotions and stress that accumulate when he isn’t well. It’s always fascinating to watch him relax and react to the healing, and hear the insights that Sally is able to provide into his body and emotions, which have proved invaluable in his care. I asked Sally for a healing session for my 2 year old male whippet, as there were a few elements of his behaviour I was concerned about. During the session Sally identified a few areas to work on and gave me very comprehensive and insightful feedback. Since his session, he has been very relaxed and much more confident in himself. He used to follow me from room to room and seem to lack confidence, but now he is much more independent and seems a lot more secure in his identity. After one session I have definitely noticed a difference in him and I feel he is much happier as a result. 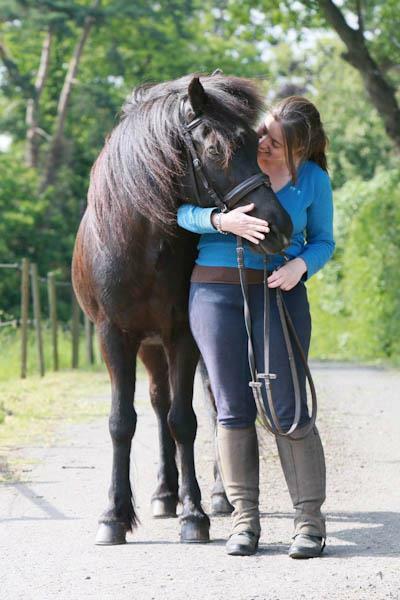 I didn’t know much at all about animal healing before my pony, Marco, had his first treatment from Sally in Feb 2012, so I wasn’t sure what to expect! Marco was very keen on the energy coming from Sally’s hands, and kept nuzzling at them to start with, and it took him a little while to settle for the healing! Once he had indicated that he was happy to accept the healing, Sally scanned his body explaining to me what she was finding as she went, and then offered him general healing for his whole self, and he was able to release some of his emotional worries and sadnesses from his past. The second healing was focused more on physical help, as he was quite poorly at the time, showing signs of laminitis. Sally worked through his body releasing the blockages and physical discomforts she found. Sadly, a few days later he suffered a colic attack, and was admitted to Liphook Equine Hospital, and when they operated, they found he had a tumour in his gut. The vet explained that the tumour had been growing for a long time, and there had been no way of knowing that it was there. I feel very strongly that the healing he received just a few days before he died was of huge help in enabling him to have a calm and peaceful passing, and to help me feel a sense of connection to him that I have not lost. “Amazing! That’s the only way to describe how my horse reacted to his first healing session with Sally. Within minutes he was totally relaxed-head down, eyes half shut, obviously appreciating whatever was happening, and she never actually touched him. Before he had healing, his movement and behaviour suggested back pain but after a few healing sessions he is happy in himself again and moving smoothly (in conjunction with physiotherapy). 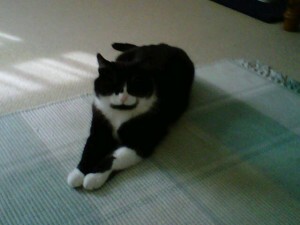 “At the end of March 2012 my cat, Sam, developed stress induced idiopathic cystitis. There followed three very difficult months of frequent visits to vets, including a specialist centre. Over time a depressing pattern emerged. Sam would start an attack, which might last for a week, he would gradually improve and we would have two weeks where he seemed to be “normal” and then another attack would begin. On two occasions he had to be admitted to the vets. In desperation at the end of June, I contacted Ascentia as one of the healers had previously helped me with a horse that I owned. I was recommended to contact Sally, who at that time had just completed her training course. When I first spoke to her I was immediately impressed with how positive and honest she was. I explained the problem and she told me what she would be able to do to help. There then began a series of 4 healing sessions, the first by distance and the other by visits, over a period of a month. At all times Sally explained clearly what was happening and how she felt that Sam was responding. Over time there was a gradual improvement in his condition and he became symptom free. There were other changes in his behaviour that Sally had said would result from her healing. For example, he had always been a very quiet cat, rarely crying. On one session Sally said she had focused on relaxing his throat and after that he became far more vocal. In August I made plans to move house; I knew that this would be stressful for Sam and I was concerned that it might spark another attack. Sally made a visit and told me that he was ok. Once had moved I also asked her to visit, which she did twice. On the second occasion she was able to reassure me that he was grounded in his new home. 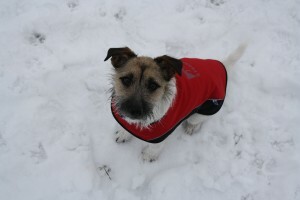 Jak is a 2½ year old, wire haired, Parsons Jack Russell Terrier with character and patience in bucketfuls – except where the postman/postwoman was concerned; or at least that is how it appeared. Jak showed the usual ‘I think I should guard the house’ displays as he developed from puppy to adulthood, jumping at the door and barking when the post was delivered. Unfortunately, just after this, our hall carpet was replaced with lino as part of work being done in the house. I say unfortunately because Jak soon discovered that he could add running, sliding down the hall straight into the door with a bang, to his ‘guard the house’ repertoire! As you can imagine, this multiplied the excitement factor a hundred fold for Jak and the behaviour was cemented. This behaviour expanded to every time someone came to the door. Jak also recognised post-persons in the street and barked, jumped up and generally ran circles around them when not on the lead. He widened this same behaviour to include other people in fluorescent jackets, with bicycles or bags and eventually to joggers. We knew Jak was not a threat but he really wasn’t giving that impression to the people he barked at. I must admit, having tried retraining, animal behaviour suggestions, treats, distractions, punishment, and more; I only came to Sally when I had run out of ideas. Not really sure how she could help, I booked a session for Jak. Working with Jak, Sally explained that he is a dog with a large sense of responsibility and empathy, however, his energy levels were quite depleted and closed off. He also seemed to have discomfort in his stomach where he was holding much of his negative energy. This described Jak perfectly. Over their sessions Sally worked with Jak to release the negative energy and to recharge and balance his energy levels until Jak could maintain them better himself. Sally’s work with Jak didn’t just involve him; it involved me too and to a lesser degree the whole family:- We had to accept Jak the way he was – protective/responsible etc; de-focus from his behaviour – not responding to his jumping and barking etc with angst and anger but with an understated, almost disinterested air, so as not to feed his excitement; visualising him as calm and well behaved in all situations; giving him unconditional love; and having fun with him. We have now had several sessions and Jak is a different dog. I’m not sure how to explain this in tangible terms – Jak no longer barks manically at the front door, he still doesn’t really like post-people and he still occasionally barks at a jogger or a lone man. However, it is the sense of calm and serenity that now emanates from him and the fact that when we call him away, he comes (mostly). Was this what I expected when I approached Sally? Well, no. Even though I thought I was fairly open minded and had no expectations, I realise that I had hoped that Jak would be ‘totally cured of his ‘behaviour’’. In reality I have a calmer, serene dog who is flourishing and who we thoroughly enjoy; a much better understanding of what we have now become to value as a very special dog with his empathy and loving ways; a better understanding of ourselves as Jak’s owners, and a wider sense of the associated responsibilities. I am so very, very glad to have Sally working with Jak, and us.